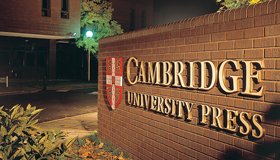 Cambridge University Press has published its annual financial results for the year ended 30 April 2012, and the results show that the publisher has achieved a tenth successive year of growth, despite challenging market conditions. The report shows that the Press’s total sales for the year were £245 million, which is an increase of 3.8 per cent on last year, with an operating surplus of £3.4 million. Sales of the Press’s digital products increased by 50 per cent over the previous year, and, for the first time, academic materials delivered digitally exceeded 30 per cent of the Press’s academic output. The Press’s Education group delivered a record number of new publications with accompanying e-books, interactive digital books, apps or companion websites, and Touchstone, the digital and blended English language course, has continued its high growth with new adoptions by major institutions on several continents. Cambridge Books Online, the Press’s digital platform for academic books, has also seen another significant increase in sales over the last year. The year to April 2012 saw the Press and the University working even more closely with other parts of the University: scholars from across the research spectrum helped to drive a large-scale review of the Press’s academic publishing to ensure it continues to meet the needs of the researchers and the scholarly communities it serves. The Press also deepened its existing collaborations with Cambridge Assessment, resulting in joint Cambridge English branding, joint product development and a joint exam preparation unit. Two major new open access mathematics journals were also commissioned, another manifestation of Cambridge’s commitment to furthering knowledge, learning and research. The market has been challenging and the year has also seen reduced academic library budgets in North America, reduced spending on universities and schools in many parts of Europe and slower market growth in areas such as Asia. Cambridge is already reaping benefits from reorganising its global publishing into three main groups – Academic, Education and Cambridge English – to ensure resources and decision-making are shared. 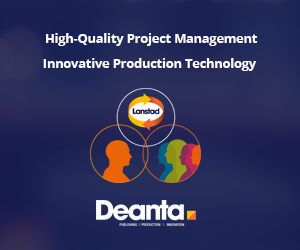 As book distribution becomes increasingly electronic, and digital printing enables shorter print runs or printing closer to customers, the need for large distribution and printing facilities has receded. As a result, the UK logistics operations were transferred to DHL and, just after the end of the year, US logistics operations moved to Ingram’s facilities in Tennessee. The Press’s UK printing operations were acquired by MPG Books Group, preserving the tradition of academic printing close to Cambridge along with the vast majority of jobs for printing colleagues.